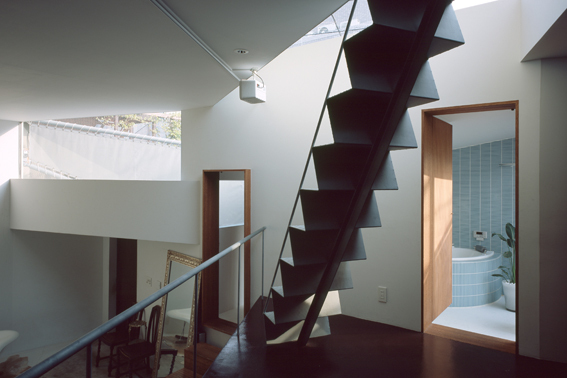 This is a house for a family of three who love to bathe. 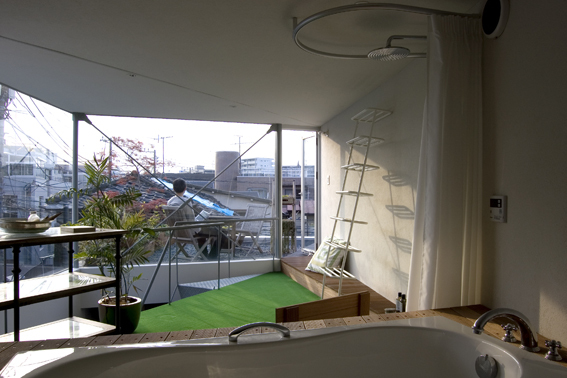 Its location in one of Tokyo’s densest residential districts called for a number of innovative ideas to provide both comfort and privacy, such as creating sufficient distance from the closely-built neighbours. 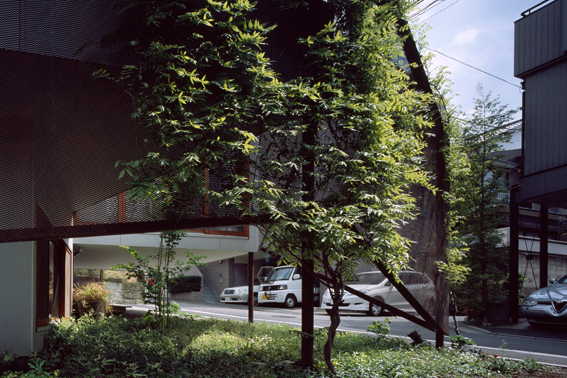 In spite of, or because of, this heavily constrained site, I wanted to create a house that realized the potential and the joy of living in a city like Tokyo, while holding onto the desires and beliefs of both the client and myself the architect. 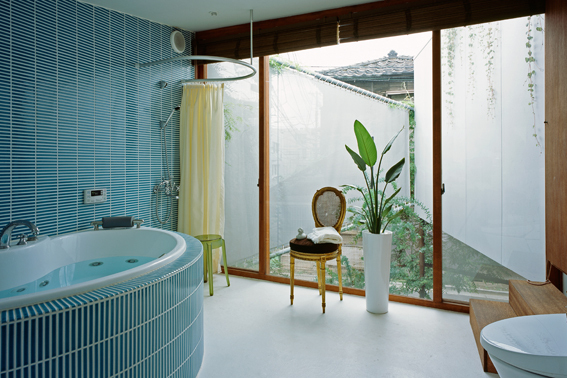 The starting point was the client’s explicit request for an exceptional space for bathing : thus the sunniest spot in the house was quickly designated as the bathroom. Using this as a cue, a route threading around this bathroom was established. 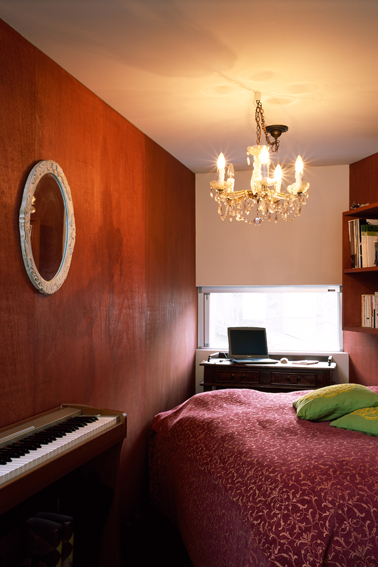 The positioning of various functions – the studio, dining and sleeping quarters – were spatially determined along this route. Through the use of level changes and soft cloth screens as partitions, each function is simultaneously separated and connected in a relaxed manner. 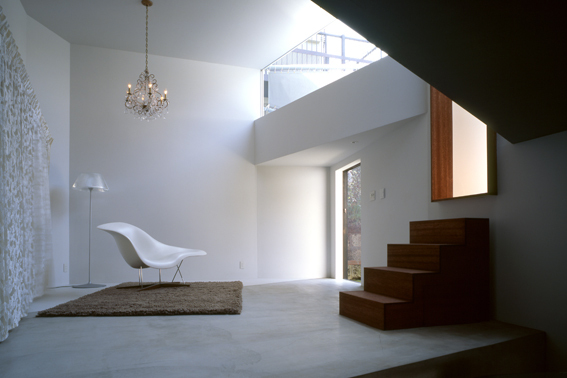 This has added openness and depth to a house that is by no means generous in space. 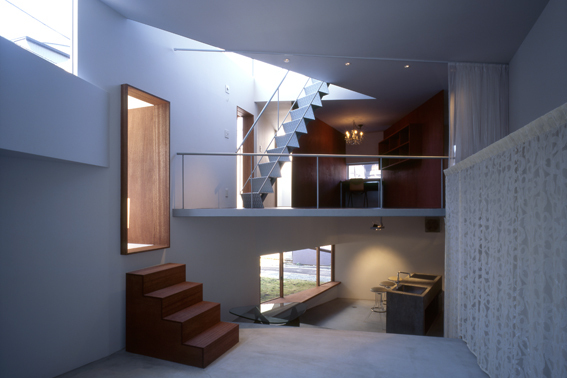 The internal space is enclosed by walls folded in at various angles. 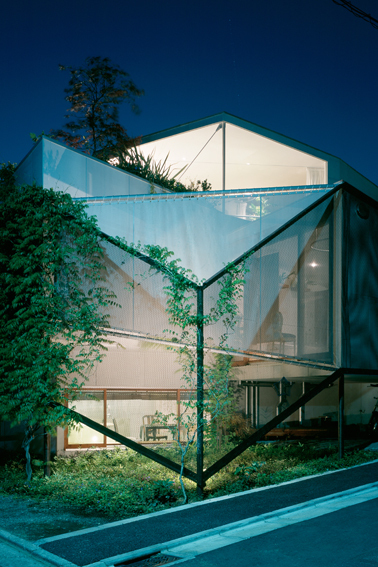 A permeable skin of expanded metal and polyester mesh further embraces both the interior and the garden. 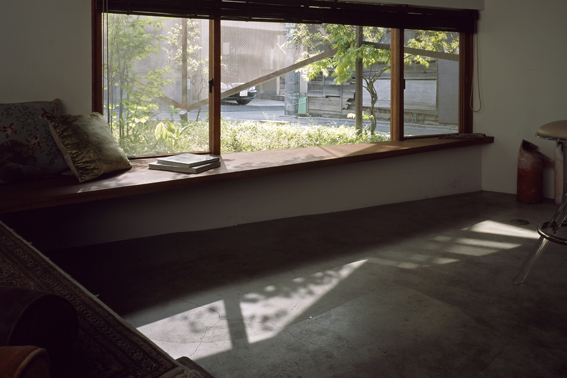 Through careful adjustment of the interface between city and house, the stresses from the surroundings that would be otherwise too near can be deflected, while at the same time, the house remains connected to the city through the pores of the screen. 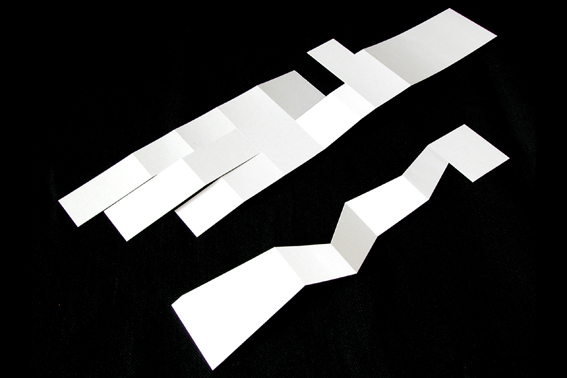 The way in which the walls and screens are folded or lifted slightly off the ground, is not a result of logical planning or compositional design, but rather of something similar to a human body’s natural instinct, or a human gesture reacting to a particular circumstance. 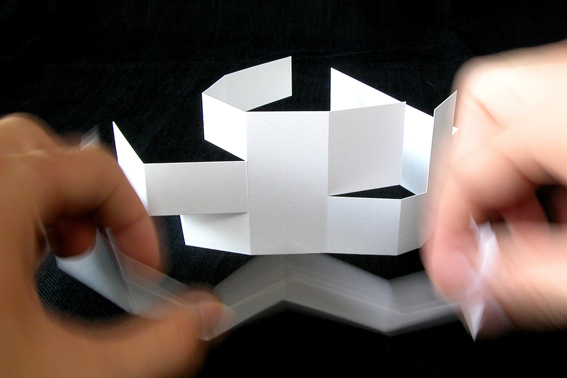 The forms of these “human instincts” were achieved through trial and error, using study models and mock-ups on site. Upon entering a busy café, you can only carve your own personal space out of the hive of activity all around by slight adjustments of subtle gestures such as looking away from or sitting at an angle to the adjacent table. 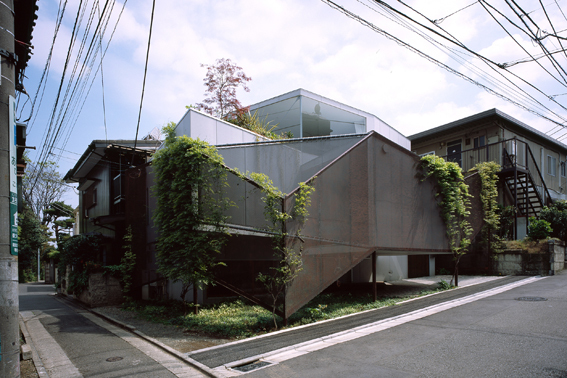 Through gestures akin to a slight twist of the body, this house attempts to slip into an empty plot in the city, without shutting off communication with the surroundings.